Designed for outstanding performance in a variety of room conditions, the S510 is perfect for classrooms, conference rooms and offices. Ultra-short throw projection helps eliminate distracting shadows and allows for room-size flexibility. HD projection and BrilliantColor™ processing technology with WXGA 3,100 lumens create bright, accurate and consistent colors. DLP® technology delivers bright, crisp imagery – even with the lights on. Project your presentations without a PC. The S510 has up to 2GB2 internal flash memory or from up to 32GB2 using a USB flash drive. Treat your audience's ears with two built-in 10W speakers. Enable pen-based interactivity between multiple users with a projector designed for low-shadow, ultra short-throw performance and wireless connectivity. Interactive pens: Two are included and the projector can support up to ten, creating a highly interactive and collaborative environment. Wireless versatility: The S510 has WiFi, Intel WiDi® and Miracast built into it, creating wireless connections that are compatible with multiple platforms such as Ultrabooks™, ChromeBooks, smartphones and tablets. Performance: The ultra-short throw projection allows you to present confidently without looking into the lamplight or creating distracting shadows. Make your projects, reports or lessons something special. 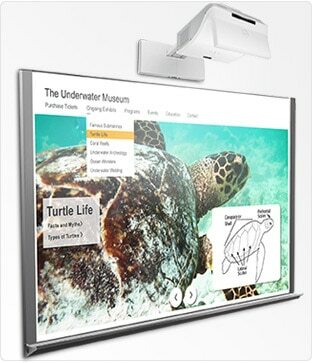 Share your ideas and encourage collaboration with this interactive projector. Engage with your content using the two included interactive pens. 4-to-1 split screen functionality allows up to four presentation slides to be projected on screen simultaneously, from different sources, so you can share learning modules, web pages and other applications at the same time. 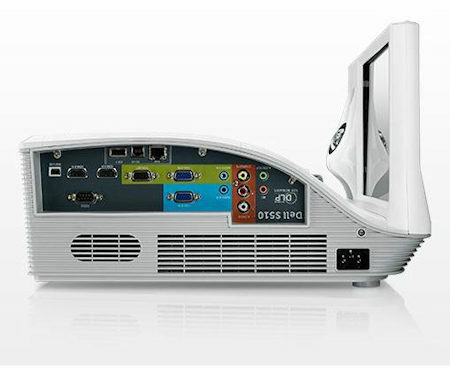 You'll find plenty of connection options on the S510 interactive projector. In addition to the essential ports for wired connectivity, you have the option to avoid hardwiring network and video cables, helping to save time and money on installation with the S510's wireless capabilities. Intel® Wireless Display (WiDi) + Miracast support enables easy wireless pairing with various WiDi- and Miracast-enabled devices for smooth video streaming. Two HDMI ports enable fast, easy connections to video sources. One HDMI port features Mobile High-Definition Link (MHL) compatibility for easy connections to portable devices like smartphones and tablets. 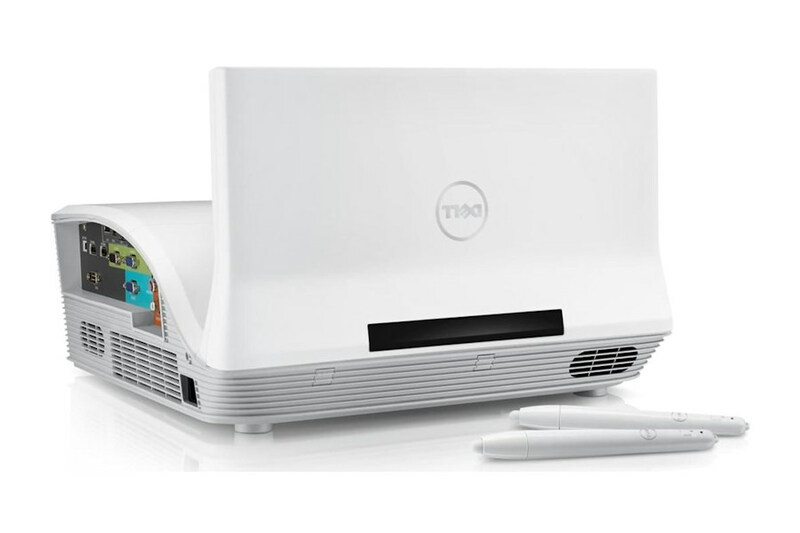 The S510 projector ships with a remote control and two pens, so you can start delivering more interactive presentations right away. If you want to purchase additional pens, the S510 will support up to 10 pens simultaneously. To create a complete interactive projection solution, you can purchase separately both a wall mount and white board. Lamps can blow, if you need your projector working and can't afford down time, you may need to keep a spare lamp. 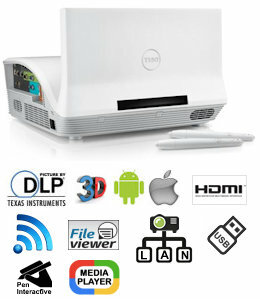 The replacement projector lamp for the Dell S510 is the 725-BBBQ / P82J5.